Saving the Net from the surveillance state: Glenn Greenwald speaks up (Q&A) | Politics and Law - CNET News: "The Internet is being degraded from what its promise was, which was an instrument of freedom, into probably the most effective means of human control and oppression ever known -- because there never existed a technology before to allow people's every thought and word to be comprehensively chronicled in the way the surveillance state allows."" Interview with Snowden-companion Sarah Harrison: On the run from America - Politics | STERN.DE: "In the star -interview the courageous 31-year-old British woman tells of dramatic escape from the days in transit from the loss of her homeland and of fear and courage. Since 2010, Harrison worked for Wikileaks. The founder and close friend of Harrison, Julian Assange, is still sitting in exile in the Ecuadorian Embassy in London. Sarah Harrison is now the link between the two most famous digital dissidents in the world. "Actually, I may as well walk around with a target on my head," she say... "I have no regrets And I love a good fight."..." Leopard-like creature is the oldest big cat yet found : Nature News & Comment: "Big cats similar to today’s snow leopard have prowled the Himalayas for the last 6 million years, an analysis of newly described fossils reveals1. The remains of Panthera blytheae extend the known lineage of pantherine cats by at least 2 million years and bolster the notion that this group of carnivores originated in Asia...."
A short history of "Fifth of November" . . . .
For Doctor Who's 50th Anniversary, Google built a multiple level game. The game's premise- those dastardly Daleks have stolen the Google letters and we need Doctor Who to retrieve them -- to play again (or if you missed it on November 23, 2013) click on the photo above or go here. Enjoy! Google's Greatest Doodle Yet: an Epic 8-bit 'Doctor Who' Game: "It's an 8-bit platform game in which you play the Doctor through all his 11 incarnations. Celebrating the 50th anniversary of the Timelord, this epic multi-level Doodle has been in the works for four months. At the Googleplex in Mountain View, it became known as the "Whodle." The company says it's the largest interactive Doodle yet created." Dogs we understand; cats are mysterious, even though they are the most popular pet - The Washington Post: "Cats are the world’s most popular pets, outnumbering dogs by as many as three to one. This popularity is undoubtedly helped by the fact that cats are simultaneously affectionate and self-reliant: They need virtually no training; they groom themselves; they can be left alone without pining for their owners, but most nonetheless greet us affectionately when we get home. . . ."
Grumpy Cat Tardar Sauce: Nothing makes this cat happy...not even screaming fans and a book deal - YouTube: "Grumpy Cat Tardar Sauce is so famous fans have travelled from Australia to Arizona in the US to meet her but she still looks unhappy. Report by Ashley Fudge." Unity Through Anonymity: Happy Guy Fawkes Day! Published on Nov 5, 2013 - Abby Martin covers the Million Mask March and discusses what Guy Fawkes Day signifies for the modern world. Video: Edward Snowden wins Sam Adams award: ". . . Edward Snowden received the Integrity Award from the Sam Adams Associates for Integrity in Intelligence. Mr Snowden was given the award by Ray McGovern (ex-CIA) who said "Sam Adams Associates are proud to honor Mr. Snowden’s decision to heed his conscience and give priority to the Common Good over concerns about his own personal future. We are confident that others with similar moral fiber will follow his example in illuminating dark corners and exposing crimes that put our civil rights as free citizens in jeopardy.... Just as Private Manning and Julian Assange exposed criminality with documentary evidence, Mr. Snowden’s beacon of light has pierced a thick cloud of deception. And, again like them, he has been denied some of the freedoms that whistleblowers have every right to enjoy."" StopWatching.us is a coalition of more than 100 public advocacy organizations and companies from across the political spectrum. This video harnesses the voices of celebrities, activists, legal experts, and other prominent figures in speaking out against mass surveillance by the NSA. Please share widely to help us get the message out that we will not stand for the dragnet surveillance of our communications. 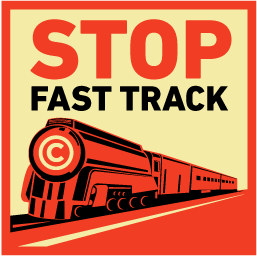 Join the movement at https://rally.stopwatching.us. Right now the NSA is spying on everyone's personal communications, and they’re operating without any meaningful oversight. Since the Snowden leaks started, more than 571,000 people from all walks of life have signed the StopWatching.us petition telling the U.S. Congress that we want them to rein in the NSA. On October 26th, the 12th anniversary of the signing of the US Patriot Act, we're taking the next step and holding the largest rally yet against NSA surveillance. We’ll be handing the half-million petitions to Congress to remind them that they work for us -- and we won’t tolerate mass surveillance any longer. 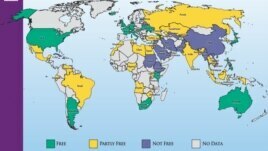 Source: Freedom House, rankings from 60 countries included in report. Report: Internet Freedom Declines Worldwide: " . . . The yearly report listed 34 countries as having a decline in Internet freedom, including Vietnam, Ethiopia, India, the United States and Brazil. The United States slipped on the list of countries with the greatest degree of Internet freedom, largely due to surveillance activities revealed by Edward Snowden. But the U.S. remains among the top five countries for Internet freedom. The report also lists the most commonly used types of Internet controls, which range from blocking and filtering to physical attacks on people. Freedom House says people were beaten, attacked or tortured in 26 countries, often in retaliation for exposing human rights abuses. Several countries employ commentators to post online and manipulate discussions by discrediting government opponents, spreading propaganda and defending government policies while not disclosing that they work for the government." A New Theory on "Mark Twain" : "Kevin Mac Donnell, a book dealer and scholar in Austin, Texas, found the potential source while searching Google Books for unknown pieces of Twain’s writing. To his astonishment, one of the hits led to a mention of “Mark Twain” in the humor journal Vanity Fair — one of the author’s early influences — two years before he adopted it. In a burlesque titled “The North Star,” the sketch reports a farcical meeting of Charleston mariners who adopt a resolution “abolishing the use of the magnetic needle, because of its constancy to the north.” These characters include a “Mr. Pine Knott,” (a pun for dense wood), “Lee Scupper” (a drain), and “Mark Twain,” (shallow depth in shipboard jargon). “I wasn’t looking for what I found. I stumbled across it,” Mac Donnell said in a phone interview. With a flair for folksy humor that made Twain famous, he also added that “you could train a cat to do what I did. You could train a garden slug to do what I did, but the cat would be quicker.”"
The Cat would be quickest! [Facebook founder Mark] Zuckerberg’s totally wrong on anonymity being total cowardice. Anonymity is authenticity. It allows you to share in a completely unvarnished, raw way,” Poole said, adding that the internet allows people to “reinvent themselves” as if they were moving home or starting a new job.“The cost of failure is really high when you’re contributing as yourself,” he said. Moreover, trust is key for a prosperous economy. It’s hard to trust when your government, your internet service provider and your favorite websites are all spying on you. U.S. Intelligence Defends Attempts to Break Tor Anonymity Network - Arik Hesseldahl - News - AllThingsD: " . . . . The ironic part is that Tor was invented at the U.S. Naval Academy as a project meant to help activists overseas evade surveillance by officials of repressive regimes. A good amount of its funding has come from the NSA’s parent agency, the U.S. Department of Defense." Fighting fire with fire . . . the best is yet to come . . . In Obama’s war on leaks, reporters fight back - The Washington Post: "Sanger, who has worked for the Times in Washington for two decades, said, “This is most closed, control-freak administration I’ve ever covered.” Many leak investigations include lie-detector tests for government officials with access to the information at issue. “Reporters are interviewing sources through intermediaries now,” Barr told me, “so the sources can truthfully answer on polygraphs that they didn’t talk to reporters.”. . . ."
Senator Rand Paul on the NSA Scandal & Military Sexual Assault - The Takeaway: ""People have said the NSA leak has jeopardized our national security—I think sort of the opposite," Paul tells The Takeaway. "I think the fact that we've had the intelligence director lie to us about the program really does more to jeopardize our security because now we've lost faith. We've lost faith in the intelligence community that they will tell either Congress or the American people the truth."" Cat Enthusiasts Will Love The Met's New Exhibit - Business Insider: "At age 8, Balthus "posed with his pet cat for a watercolor by his mother," museum officials said. At age 11, Balthus recorded in 40 ink drawings called "Mitsou" his "adventures" with a stray cat . . . . "'Mitsou' was just one of many examples of cats' enduring "force and presence in the artist's work and life," the museum said. . . ."
Calling All Obama Supporters, Help Kickstart World War III! Help Kickstart World War III! - YouTube: "President Obama needs your help starting World War III! Find out how you can help!" Labels: Calling All Obama Supporters, Help Kickstart World War III! Peter Mandel: Cats Are Actually Man's Best Friend - WSJ.com: " . . . . It's long past time for at least a little mutual respect. Cats could give us a passing wave with a paw, and we could bend down and pat them—the way we would high-five a worthy foe at tennis. Maybe cats and men could share a burger now and then. We could hang out back in the alley, near the trash cans. Talk fishing. Crack some snacks and beers. A club of some kind might be an idea. A club for loungers. A club for prowlers. A club for tinkerers with tools. A private club, it would have some unyielding rules: No women. And no dogs allowed." If you voted for Obama -- you're guilty too! A video-game accessory -- how low can you get? Mainstream Media Cheerleads for Syria War … But "So far, the propaganda effort is failing miserably." FBI hair analysis may have falsely convicted thousands, including some on death row | The Verge: "Thousands of cases between 1985 and 2000 relied on hair samples, and the study will focus on "whether analysts exaggerated the significance" of the samples, or in some cases reported the results inaccurately. Free DNA testing will be offered in any cases where the FBI is found to be in error. Peter Neufeld, a co-director at the non-profit Innocence Project, tells McClatchy that "the government's willingness to admit error and accept its duty to correct those errors in an extraordinarily large number of cases is truly unprecedented."" Kim Dotcom Will Move Mega Privacy Services to Iceland to Avoid Spying | TorrentFreak: "As the wave of controversy over government spying continues, Kim Dotcom is advising privacy startups to think carefully about where they intend to invest. The Mega entrepreneur is advising companies to stay away from countries including the United States, United Kingdom, Canada and Australia, where monitoring is now considered widespread. Dotcom, who has a considerable investment in New Zealand, says his privacy services will move to Iceland if proposed new laws become reality." Advancing Internet freedom doesn’t come for free - The Washington Post: " . . . . It’s time to put actions behind the words Clinton delivered so passionately and finally commit significant funding to the research, testing and deployment of technologies that allow citizens to freely communicate in the face of repressive censorship. Technology is not the only answer to advancing global democracy, but it is the most powerful and cost-efficient weapon at our disposal." The First White Tigress Cub Born in Captivity: Video - Bloomberg: "August 6 (Bloomberg) -- This 42 day old, blue eyed cub was introduced to the world this week at a zoo in Lima, Peru. The yet to be named white tiger is the first to be born in captivity, the subspecies is considered in danger of extinction. (Source: Bloomberg)"
Henri - Catvidfest - YouTube: " "
Congo: The Road to Ruin: "On a dangerous journey from war-torn villages to a refugee camp, Congolese families are caught in the cross-fire." Brazil's Seeds of Protest: "Brazilians express their grievances with the lack of resources invested in education and health care." Dr. Joseph Bonneau Wins NSA Award, Criticizes NSA | Electronic Frontier Foundation: "On July 18th, Dr. Joseph Bonneau, a software engineer at Google, received the National Security Agency’s award for the best scientific cybersecurity paper. According to its stated mission, the competition was created to help broaden the scientific foundations of cybersecurity needed in the development of systems that are resilient to cyber attacks. But Bonneau was deeply conflicted about receiving the award, noting on his blog that even though he was flattered to receive the award he didn’t condone the mass surveillance programs run by the NSA: “Simply put, I don’t think a free society is compatible with an organisation like the NSA in its current form."" As Bradley Manning Trial Begins, Press Predictably Misses the Point | Matt Taibbi | Rolling Stone: "This whole thing, this trial, it all comes down to one simple equation. If you can be punished for making public a crime, then the government doing the punishing is itself criminal. Manning, by whatever means, stumbled into a massive archive of evidence of state-sponsored murder and torture, and for whatever reason, he released it. The debate we should be having is over whether as a people we approve of the acts he uncovered that were being done in our names." 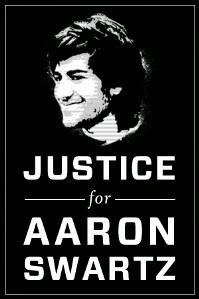 Why Did the Secret Service Take Over the Aaron Swartz Case? Chimpanzees Retired From Research: "Major federal agencies have taken steps in the past few weeks toward ending almost all biomedical experimentation on chimpanzees." Dancing the Night Away: "Lincoln Center's Midsummer Night Swing celebrates its 25th anniversary season." Touring ‘Game of Thrones’: "The hit HBO series is drawing fans to Northern Ireland, where key scenes from the show are filmed." Google's Larry Page on Why Moon Shots Matter | Wired Business | Wired.com: " . . . Page: Consider our own history. When we started Google, it wasn’t really obvious that what we were doing wouldn’t get regulated away. Remember, at the time, people were arguing that making a copy of a file in a computer’s memory was a violation of copyright. We put the whole web on our servers, so if that were true, bye-bye search engines. The Internet’s been pretty great for society, and I think that 10 or 20 years from now, we’ll look back and say we were a millimeter away from regulating it out of existence. Wired: My guess is that talking to regulators is probably not your favorite thing to do. The S.W.A.T. team attack on his residence to arrest this guy is one of the biggest (and most ridiculous) example of governments out-of-control, responding to the wishes of politically influential businessmen (the movie industry). If you haven't actually seen it, look it up on YouTube and have a look. It's so outrageous it's laughable. It's lucky no one was killed by the police. Not too long ago . . .
Keeping the Internet free - The Washington Post: "While the Internet cannot fall into the hands of those who would censor and restrict it, the United States should put more effort into remaking the current model so that it can serve what has become a global infrastructure. Ambassador Terry Kramer, who headed the U.S. delegation in Dubai, was clear that a power grab by the repressive countries was a non-starter. “No single organization or government can or should attempt to control the Internet or dictate its future development,” Mr. Kramer insisted. 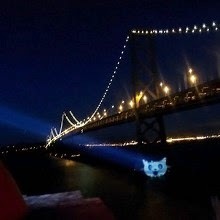 The conference did serve to highlight broad, opposing camps over Internet freedom. After the United States pulled out, 89 nations signed the agreement, including Russia, China, Iran, Cuba and Venezuela. The blank screen of the Internet censor is not likely to disappear soon. A long and fateful battle looms for digital freedom." Web inventor says governments stifling net freedom (Update): ""The dream is of a more open web," Berners-Lee told the gathering in the Swiss ski resort, citing social media as a way of breaking down barriers.But he said the recent suicide of Aaron Swartz, a 26-year-old US Internet activist who faced charges of illegally copying and distributing millions of academic articles, highlighted government efforts to police the Internet. "He downloaded a lot and so the secret service in the US decided that he was a hacker. For them that isn't the term of great praise that it is when I use it. For me a hacker is someone who is creative and does wonderful things," he said."